Big thank you to St. Martin's Press for our copies in return for our honest reviews. My first Erica Spindler and it did not disappoint! It's everything you expect from a thriller - a sordid past, a murder mystery that brings the past the protagonist so desperately wants to leave behind, back to light, a twist or two and a conspiracy. What wouldn't you like about it? Miranda Rader, or Randi as she was known as a child, didn't have the best childhood. One night, at the age of 15, leaves her feeling like she can't count on anyone. Sent to juvie, she vows to move forward, leave her past behind and go into law where she inevitably earns respect for her integrity. A murder of a prestigious professor who is a part of one of the richest and most respected families in town propels Miranda right back to her past when a newspaper clipping regarding that one fateful night is found at the scene. When a cop is found murdered shortly after, evidence starts pointing to Miranda as the killer. As truths come to light, she has to find a way around the law to prove her innocence as revelations start shattering her new found trust. A very easy and fast read. Spindler draws you right into the story and the fast pace from the first chapter to the end puts this as a one-sit read. I found myself very involved with Miranda's character. I was mad when she was mad, frustrated when she was frustrated and over all just wanted things to go well for her for once. I think the twists were fairly easy to figure out but didn't think it took away from the pace of the story line. There were a couple of moments kind of thrown in that didn't quite make sense to me and if you've read this book, let's discuss! I won't go into here to spoil anything. Overall, a fantastic read and I'll definitely be looking forward to more of this author's work. 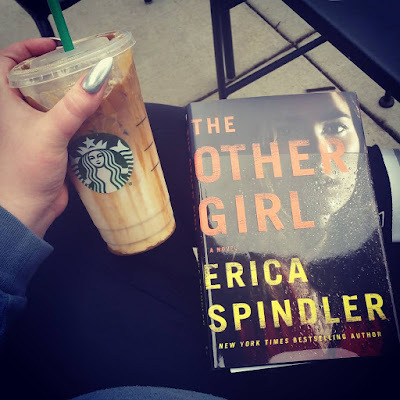 This was my first book by Erica Spindler and I was not disappointed! A page turning thriller, and at just under 300 pages, I flew through this one! Miranda is a police officer assigned to a gruesome murder case. The murder of a local college professor, who is also the son of the University's President. How does Richard Stark connect to her past? We start out at the gruesome crime scene. Detective Miranda Rader is lead investigator with her partner Jake Billings. The murder victim is Richard Stark, a professor at the local college. To complicate things, he's also the son of the President of the University - who does not want his son's reputation ruined. Stark was a young handsome and well-loved guy and people have nothing but nice things to say about him. Miranda thinks otherwise, given the nature of the crime scene and what was done to him, she thinks a scorned lover. How does this murder connect to her troubled past? At 15 she was sent to juvenile hall because of the events of one night. We are brought back and forth from present day to that night in 2002. She has worked tirelessly to erase her past and earn the trust and respect that comes with being a 10 year veteran officer. When her fingerprints are found at the crime scene, everything is jeopardized. Who is trying to frame her? How is this connected to that fateful night so long ago? With short chapters this book flew by (I read chapter to chapter)! I couldn't stop reading. Spindler does a great job of building the characters and setting the scene. I enjoyed the back and forth with the past events and trying to figure out what will happen next. Miranda is incredibly likeable and so easy to relate to. 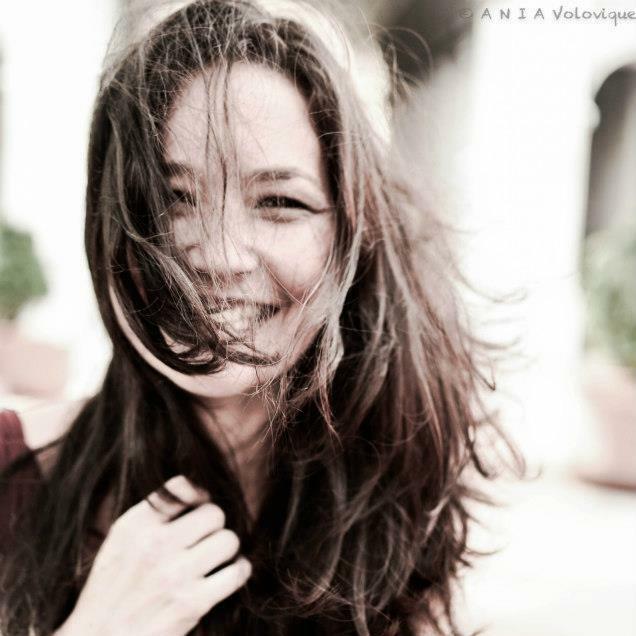 She's just a woman trying to be better than her "wrong side of the tracks" upbringing. I enjoyed the couple twists thrown in and the conspiracy feeling. Overall, if you want a fast paced read throughout with a murder investigation, then I'd highly recommend this thriller! 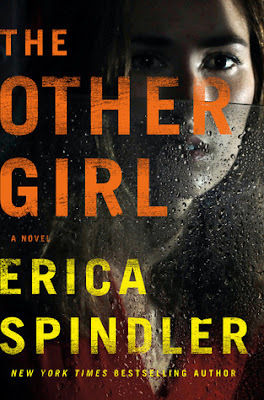 I'll be picking up more of Erica Spindler's books!